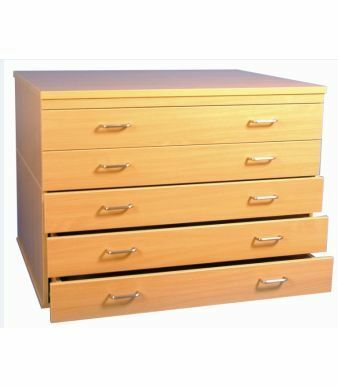 Used in schools, colleges and universities this storage plan chest is constructed from MFC, finished in Beech with drawer options. Accommodates paper up to A1 size. Assembled and delivered free to mainland UK. Lead time 10 -15 working days.